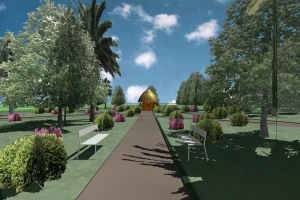 This approximately 50 acres culture park will be built as a miniature of Uganda, with all the waterfalls, rivers, mountains, forests and lakes build in. 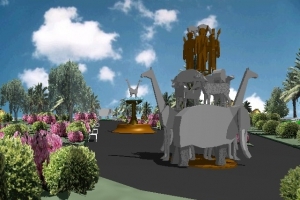 There will also be animals and people sculptured in real sizes, and both the animals and some of the main human tribes of Uganda are located according to their origin place in the country. We have been working on planning the different sculptures the last 10 years. 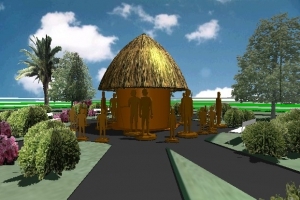 All the different sculptures will alone be a huge attraction. 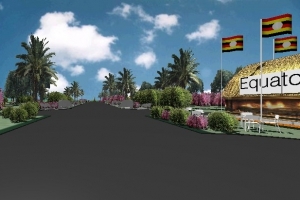 It will be a unique place where tourists as well as Ugandans can learn very much about the Ugandan history, geography and culture and at the same time learn it in a very educational and entertaining way. 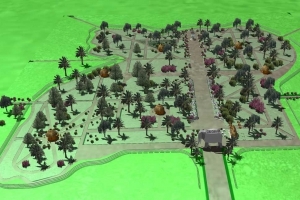 During the 15 years we have worked on getting over 300 acres of land for the Equator City project, we have used a lot of time planning a great deal of unique areas to make the project a great success. 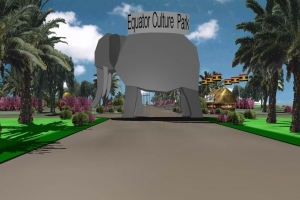 Many of the ideas are focused on the fact that the project is located EXACTLY at the Equator, which is very well known worldwide. 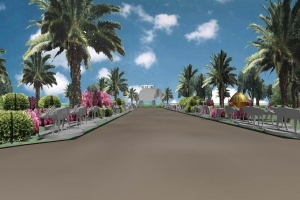 Because we through 15 years have developed many good ideas regarding HOW TO SELL “EQUATOR CITY” RELATED PRODUCTS, the income success of the project will be evident.